I have worked with many areas of Human-Computer Interaction, including: accessible technology, wearable devices, gesture interaction, ultrasound haptics, and novel displays. This page gives an overview of my research in these areas. I currently work on the Levitate project, which is investigating novel interfaces composed of objects levitating in mid-air. My research here is mostly focused on developing new interaction techniques for levitating object displays ; for example, Point-and-Shake, a selection and feedback technique presented at CHI 2018 . I have been working with ultrasound haptic feedback since 2012. My ICMI 2014 paper  used an early prototype of an Ultrahaptics device to give haptic feedback about mid-air gesture input for smartphones. My World Haptics Conference 2019 paper was about helping users position their hands for optimal ultrasound haptic output. I have also investigated the perception of this novel type of feedback, to better understand how it can be used effectively. I chaired sessions at the CHI 2016 and CHI 2018 workshops on mid-air haptics and displays. My PhD research focused on gesture interaction, including around-device interaction. Some of my early PhD work looked at above-device interaction with mobile phones [3, 4], which I discuss more here. Towards the end of my PhD I also studied gesture interaction with simple household devices, like thermostats and lights, which present interesting design problems due to their lack of screens or output capabilities . I am particularly interested in how gesture interaction techniques can be improved with better feedback design. Whereas most gesture interfaces rely on visual feedback, I am more interested in non-visual modalities and how these can be used to help users interact more easily and effectively. 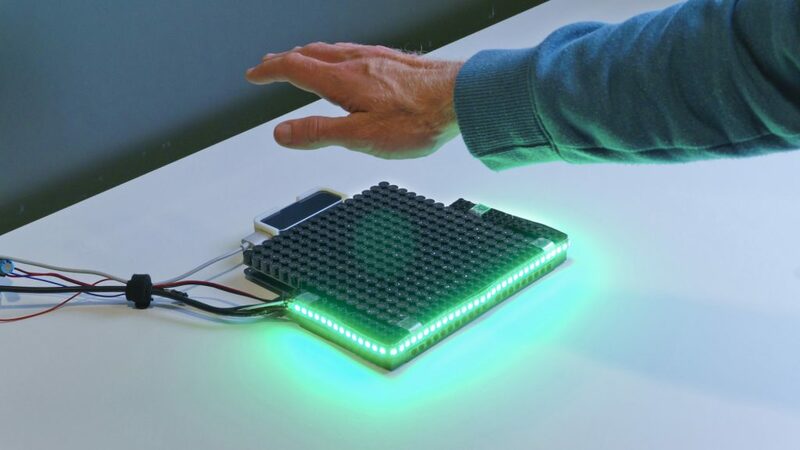 I have looked at tactile feedback for gesture interfaces [3, 6]; this is a promising modality but requires novel hardware solutions to overcome the challenges of giving tactile feedback remotely. I have also looked at other types of output, including sound and interactive light, for giving feedback during gesture interaction. My PhD research in this area was partly funded by a studentship from Nokia Research in Finland. Despite significant advances in gesture-sensing technology, there are some fundamental usability problems which we still need good solutions for. My PhD thesis focused on one of these problems in particular, the problem of addressing gesture systems. I write more about this here. My CHI 2016 paper  describes interaction techniques for addressing gesture systems. Early in my PhD I looked at above-device gesture design. We asked users to create above-device gestures for some common mobile phone tasks. From the many gesture designs gathered in that study, we then created and evaluated two sets of gestures. We created design recommendations for good above-device interfaces based on the outcomes of these studies . Small devices, like mobile phones and wearables, have limited display capabilities. Gesture interaction, being very uncertain for users, requires feedback to help users gesture effectively, but giving feedback visually on small devices constraints other content. Instead, other modalities – like sound and touch – could be used to give feedback. 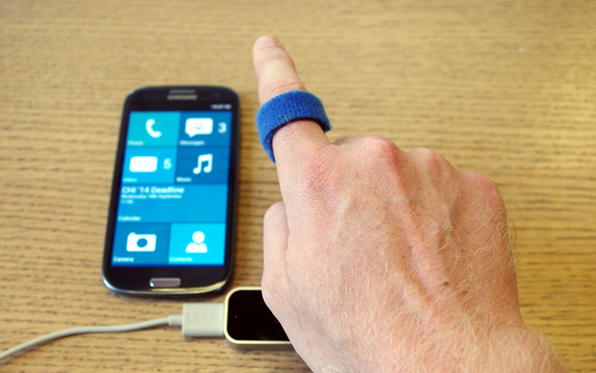 However, an obvious limitation with touch feedback is that users don’t always touch devices that they gesture towards. We looked at how we could give tactile feedback during gesture interaction, using ultrasound haptics and distal feedback from wearables . Another way of giving visual feedback on small devices without taking away limited screen space is to give visual cues in the space surrounding the device instead. We embedded LEDs in the edge of some devices so that they could illuminate surrounding table or wall surfaces, giving low fidelity – but effective – visual feedback about gestures. We call this interactive light feedback . As well as keeping the screen free for interactive content, these interactive light cues were also noticeable from a short distance away. For more on this, see Interactive Light Feedback. I worked on the ABBI (Audio Bracelet for Blind Interaction) project for a year. The ABBI project developed a bracelet for young visually impaired children; when the bracelet moved, it synthesised sound in response to that movement. The primary purpose of the bracelet was for sensory rehabilitation activities to improve spatial cognition; by hearing how other people and themselves moved, the children would be able to improve their understanding of movement and their spatial awareness. Concept visualisation of the ABBI bracelet and Audible Beacons. My research looked at how the capabilities of the ABBI bracelet could be used for other things. The bracelet had motion sensors, Bluetooth communication, on-board audio synthesis and limited processing power, so my research investigated how these might facilitate other interactions. 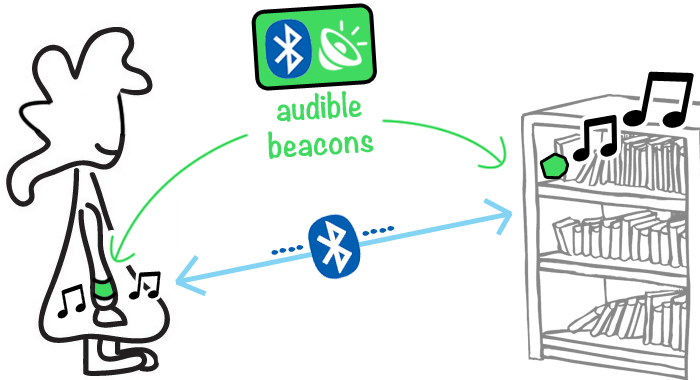 Some of my work looked at how Bluetooth beacons could be used with a wearable device to present relevant audio cues about surroundings, to help visually impaired children understand what is happening nearby . I also considered how the bracelet might be used to detect location and activity within the home, so that the lighting could be adapted to make it easier to see, or to draw attention to specific areas of the home . Before starting my PhD I worked on two projects looking at home-care reminder systems for elderly people. Reminders can help people live independently by prompting them to do things, such as taking medication or making sure the heating is on, and helping them manage their lives, for example reminding them of upcoming appointments or tasks such as shopping. My final undergraduate project looked at how interactive tabletops could be used to deliver reminders. People often have coffee tables in a prominent location within the living room, making the tabletop an ideal display for ambient information and reminders. We wanted to see what challenges had to be overcome in order for tabletops to be an effective reminder display. One of the interesting challenges this project addressed was how to use the tabletop as a display and as a normal table. Clutter meant large parts of the display were often occluded so a solution was needed to allow reminders to be placed in a noticeable location. Part of this project was presented as an extended abstract at CHI 2013 . After graduating with my undergraduate degree, I worked on the MultiMemoHome project as a research assistant. My role in the project was to design and develop a paper-based diary system for digital pens which let users schedule reminders using pen and paper. Reminders were then delivered using a tablet placed in the living room. We were interested in using a paper-based approach because this was an approach already favoured by elderly people. We used a co-design approach to create a reminder system, Rememo, which we then deployed in peoples’ homes for two weeks at a time. This project was presented as an extended abstract at CHI 2013  and as a workshop paper at Mobile HCI 2014 . As an undergraduate I received two scholarships to fund research over my summer holidays. One of these scholarships funded research with Helen Purchase into visual complexity. We wanted to find out if we could predict how complex visual content was using image processing techniques to examine images. We gathered both rankings and ratings of visual complexity using an online survey and used this information to construct a model using linear regression with a collection of image metrics as predictors. This project was presented at Diagrammatic Representation and Inference 2012  and Predicting Perceptions 2012 . An earlier research scholarship also funded research with Helen Purchase, this time looking at aesthetic properties of hand-drawn graphs using SketchNode, a tool which lets users draw graphs using a stylus. We devised a series of aesthetic properties describing graph appearance and created algorithms to measure these properties. 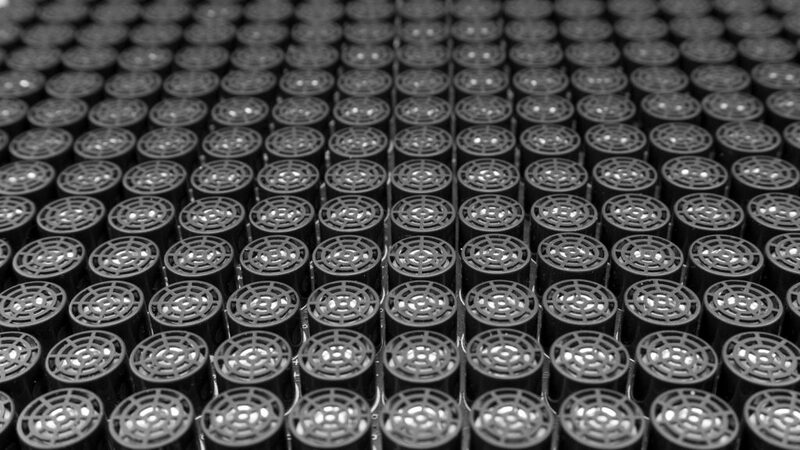 Aesthetic properties included features such as node orthogonality (were nodes placed in a grid-like manner? ), edge length consistency (were edges of similar length?) and edge orthogonality (were edges largely perpendicular and arranged in a grid-like manner?). 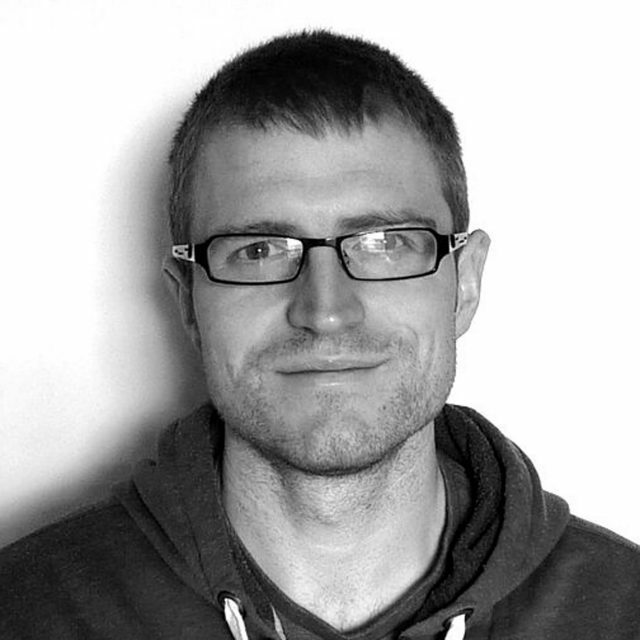 I produced a tool to analyse a large corpus of user-drawn graphs from earlier research studies. E. Freeman, J. Williamson, P. Kourtelos, and S. Brewster. In Proceedings of the 7th ACM International Symposium on Pervasive Displays – PerDis ’18, Article 15. 2018. E. Freeman, J. Williamson, S. Subramanian, and S. Brewster. In Proceedings of the 36th Annual ACM Conference on Human Factors in Computing Systems – CHI ’18, Paper 18. 2018. In Proceedings of the International Conference on Multimodal Interaction – ICMI ’14, pp. 419-426. 2014. In Mobile HCI ’14 Posters, pp. 459-464. 2014. In Proceedings of the 34th Annual ACM Conference on Human Factors in Computing Systems – CHI ’16, pp. 2319-2331. 2016. E. Freeman, D. Vo, G. Wilson, G. Shakeri, and S. Brewster. In CHI 2016 Workshop on Mid-Air Haptics and Displays: Systems for Un-instrumented Mid-Air Interactions. 2016. In Proceedings of NordiCHI ’14 Beyond the Switch Workshop. 2014. E. Freeman, G. Wilson, S. Brewster, G. Baud-Bovy, C. Magnusson, and H. Caltenco. In Proceedings of the 35th Annual ACM Conference on Human Factors in Computing Systems – CHI ’17, pp. 4146-4157. 2017. E. Freeman, G. Wilson, and S. Brewster. In Proceedings of the 18th ACM International Conference on Multimodal Interaction – ICMI ’16, pp. 398-399. 2016. E. Freeman and S. Brewster. In CHI ’13 Extended Abstracts on Human Factors in Computing Systems, pp. 1515-1520. 2013. J. Williamson, M. McGee-Lennon, E. Freeman, and S. Brewster. In CHI ’13 Extended Abstracts on Human Factors in Computing Systems, pp. 73-78. 2013. M. Lennon, G. Hamilton, E. Freeman, and J. Williamson. In Mobile HCI ’14 Workshop on Re-imagining Commonly Used Mobile Interfaces for Older Adults. 2014. H. C. Purchase, E. Freeman, and J. Hamer. In Diagrammatic Representation and Inference, pp. 200-213. 2012. In Predicting Perceptions: The 3rd International Conference on Appearance., pp. 62-65. 2012.